TCF originally opened at 8412 Highway 7 in the Royal Court Building at Knollwood Plaza on April 3, 1972. It was TCF’s 13th branch. Will Bjerke was the new manager. WCCO personalities Howard Viken and Steve Cannon were on hand to greet customers at the grand opening. The bank moved into its own building at 8020 Highway 7 in the Knollwood parking lot – seen under construction below in November 1972. 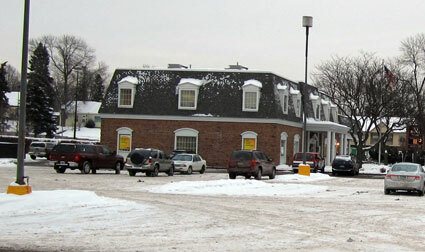 This had been the site of the Red Key Restaurant, which had been torn down after only two years. 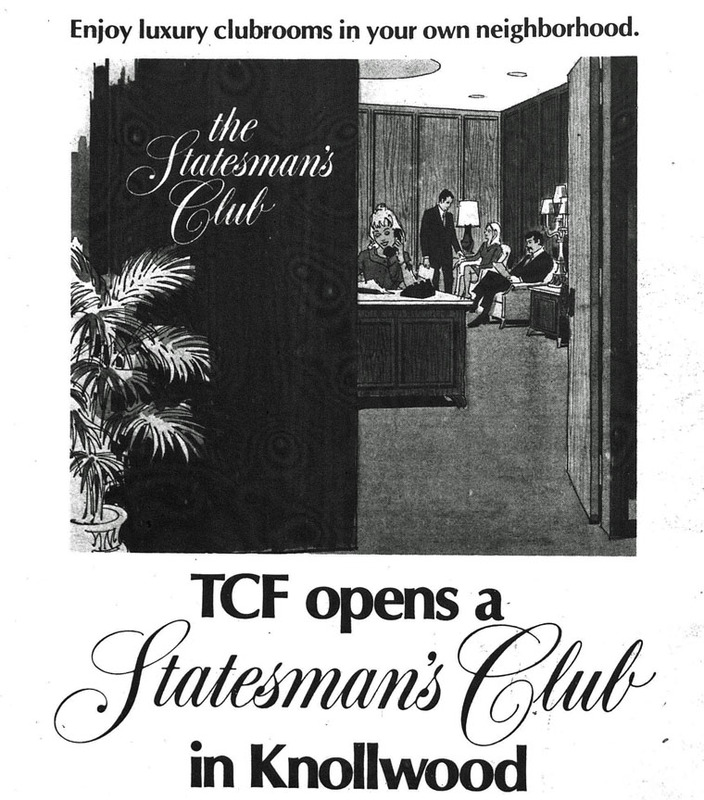 In 1974 the bank opened the Statesman’s Club, a place where members could watch color TV, enjoy coffee, cookies, and pop, get 10 free photocopies per month, use the office message center, use the meeting room, and get a free Statesman’s Club luggage tag. Membership was free with a deposit of $5,000 or more – kind of a lot of money in 1974. But before coffee shops, this was supposed to be a place you could hang out, meet friends, play bridge, and let your hostess, Jeanette Holden, tell you about vacation trips. 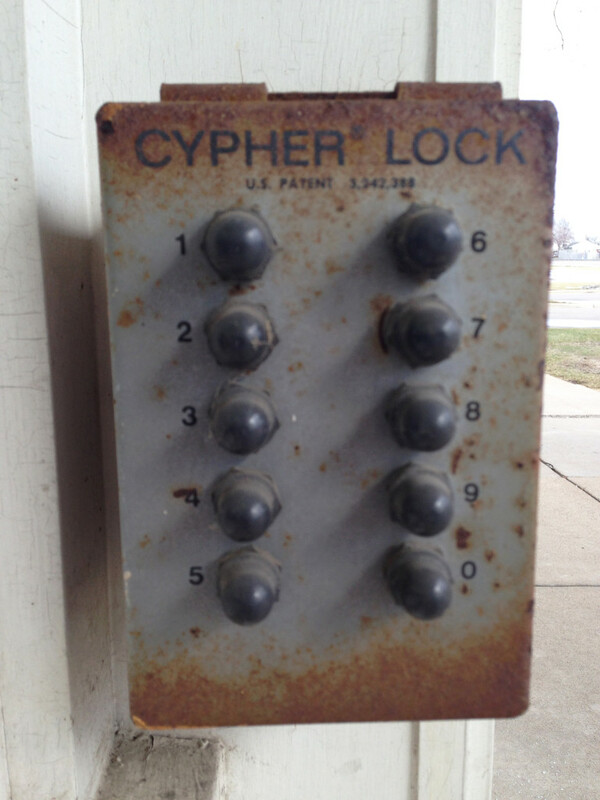 There were Statesman’s Clubs in 42 cities across the country, and membership was transferable. 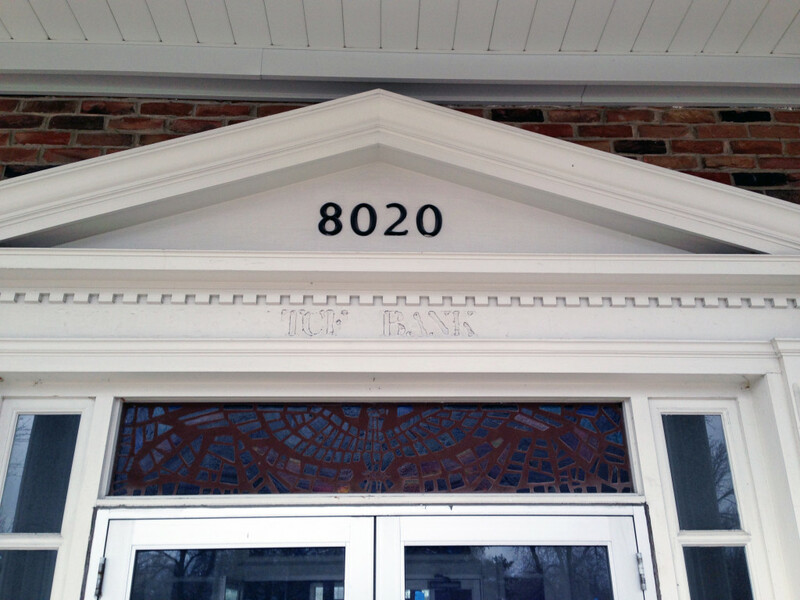 With the reconstruction of Knollwood, Twin City Federal moved into a new building in 2014. 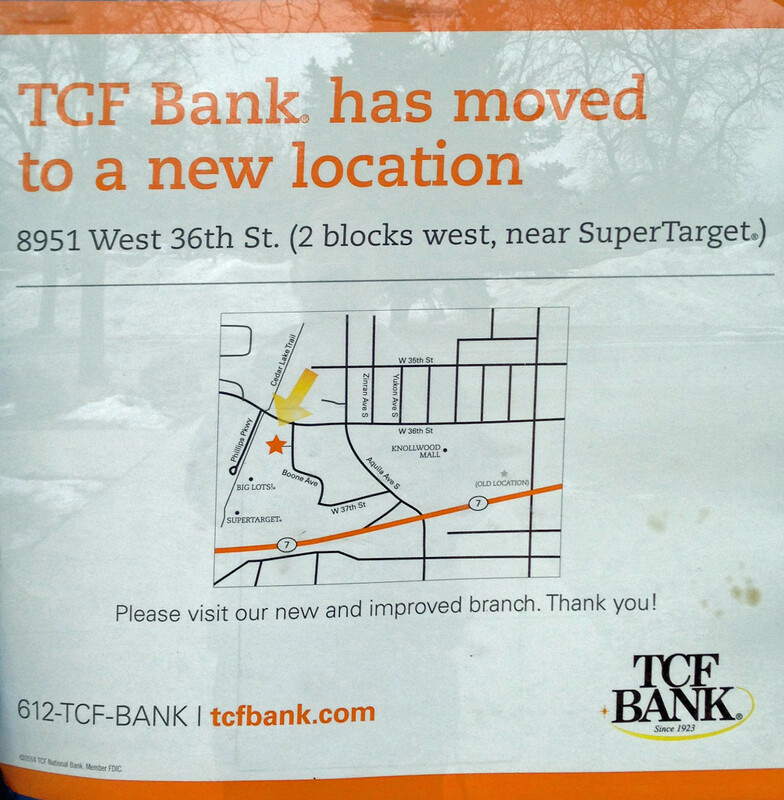 TCF continues to have a branch inside Cub Foods at 3620 Texas Ave So. 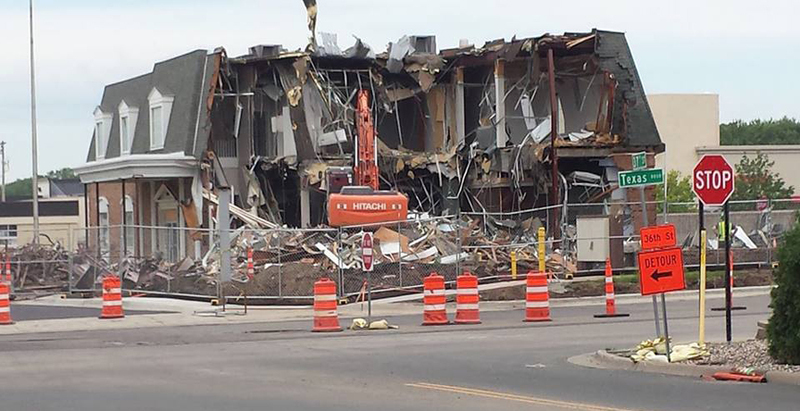 The old TCF building was demolished on July 5, 2017, to make way for a Chick-fil-A.